Tennessee is known for its spirited people, rich history, mouthwatering barbecue, natural wonders, and a diverse variety of attractions. Visitors to this soulful state will find a wealth of accommodation options including a variety beautifully designed and expansive resorts. The Big Cypress Lodge is a one-of-a-kind resort housed in the Bass Pro Shops Pyramid in downtown, Memphis. Its 100+ distinct, rustically designed, well-appointed guestrooms and suites are fully immersed in the Pro Shops outdoor lifestyle. Some of their rooms resemble tree houses suspended amidst hundred-foot-tall cypress trees, while others have been created to resemble classic duck hunting camps. They all include plush Pillowtop beds, handcrafted furniture, fireplaces, mini refrigerators, and flat-screen televisions with either a screened-in porch or balcony overlooking the Pro Shops ample wetlands and cypress expanse. The resort also features a duck lodge with fireplace, alligator ponds, several restaurants, the tallest free-standing elevator in the world, and an ocean-themed bowling alley. 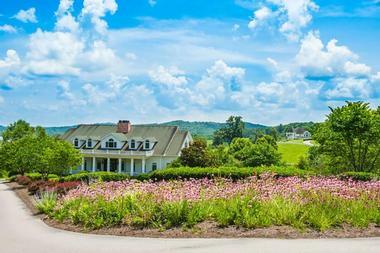 Blackberry farm is a 4,200 acre, pastoral estate located in the Great Smokey Mountains. As one of the most acclaimed intimate luxury hotels in the nation, Blackberry is known for its timeless elegance. Offering a varied selection of accommodations, the Farm’s luxurious suites feature a rustic opulence accentuated by hardwood floors, stone fireplaces, antique furnishings, and heavenly beds dressed with plush, sumptuous linens. The Farm provides a wealth of activities and adventure for their guests regardless of the season. This includes activities such as horseback riding, fly-fishing, wake-surfing, paintballing, archery, and paddle sports as well as carriage rides, a clay course, a farmstead field school, a luxury spa, and culinary tastings. Situated atop a majestic tree-covered mountain, the Deer Ridge Mountain Resort, just ten minutes outside of downtown, Gatlinburg. Visitors can choose from a variety of one- and two-bedroom accommodations with attached balconies providing picturesque views of the Great Smoky Mountains. Each of their well-appointed condos boasts a rustic, log cabin style décor with gorgeous stone fireplaces, plush oversized furniture, palatial-style rugs, wood finishes, and intricate, decorative pieces. The condos also come with fully-equipped kitchens, separate living/dining areas, private bathrooms, and upgraded modern amenities such as flat-screen televisions. Deer Ridge also provides a selection of resort amenities including several sports courts, indoor heated pools, outdoor pool, a restaurant, and the Private Club Lobby Lounge. Dollywood’s DreamMore Resort is an exquisite property boasting a stately white façade in the heart of charming Pigeon Forge, with the Great Smoky Mountains serving as its backdrop. Situated on 20 sprawling acres, DreamMore has 300 spacious guestrooms featuring eight unique layouts. They are beautifully decorated in dark navy blue, crisp clean white, and rich chocolate brown tones highlighted by gorgeous wood furnishings, colorful pillows, butterfly artwork, and Dolly memorabilia. The property features a wealth of on-site amenities and activities such as several swimming pools, decadent restaurants, a luxury spa, a family game room, and Camp DW. 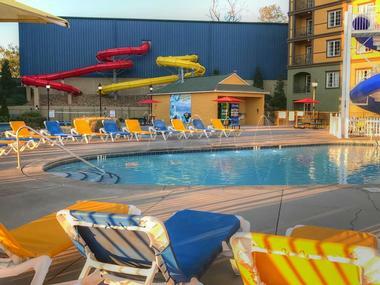 Neighboring properties Dollywood and Dollywood’s Splash Country offer guests even more fun and excitement. Located near the small town of Smithville, Evins Mill is a designated Tennessee State Natural Area and luxury resort mixed into one. Surrounded by rambling brooks and forested bluffs, the resort offers an idyllic mountain experience featuring 12 creek side guestrooms in its main lodge, and eight luxury suites housed in Solstice – a private lodge. On-site activities include hiking, chasing waterfalls, fishing, swimming, billiards, ping pong, and lawn games. Guests will also have access to several nearby natural wonders, state parks, and golf courses. They provide freshly prepared, locally-sourced cuisine in various beautiful and intimate settings. This includes their reception hall which boasts an extraordinary wall of windows that overlook the picturesque woodlands. Dancing Bear Lodge and Appalachian Bistro is a perfect getaway spot for visitors looking to experience the majesty of Great Smoky Mountains National Park without the chaos of tourist towns. The resort, which is located just minutes from beautiful Cades Cove, is set on 38 acres and offers a wide variety of rustic-style accommodations, including 21 rental cottages and cabins for private stays. The resort's award-winning Appalachian Bistro restaurant, which has been acclaimed by the Travel Channel as one of the nation's hottest hotel restaurants, serves up a variety of delicious comfort food entrees crafted by executive chef Shelley Cooper with locally-sourced, farm-fresh ingredients. The biggest cabin rental company in the Great Smoky Mountains, Gatlinburg Falls Resort offers more than 400 well-appointed cabins near Gatlinburg, Wears Valley, Pigeon Forge, and Sevierville. Reminiscent of deluxe mountain homes, each of these luxury cabins features separate bedrooms, gourmet kitchens, lavish living rooms, deluxe bathrooms, and game rooms. Game rooms are equipped with pool tables, air hockey, and arcade games like Ms. Pac-Man. 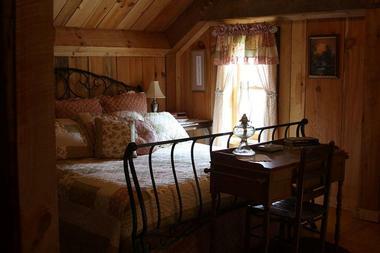 Cabins also feature expansive outdoor patios decorated with handcrafted wood furniture. They overlook scenic settings of the mountains or woodlands. Additional amenities include home theaters, outdoor hot tubs, high-speed internet, and vertical jetted shower spas. Guests will also have access to fitness centers and swimming pools. Listed on the National Register of Historic Places, Hotel Napoleon is a unique, neighborhood boutique hotel located near Downtown, Memphis. Commissioned in 1902 by ‘the Merchant prince of Memphis’ – Napoleon Hill, the hotel boasts a combination of Romanesque Revival and Beaux-Arts styles. A beautiful mix of old and new, the hotel features classic design elements such as Tennessee marble and arched windows, as well as modern enhancements like a state-of-the-art fitness center and an executive business center. 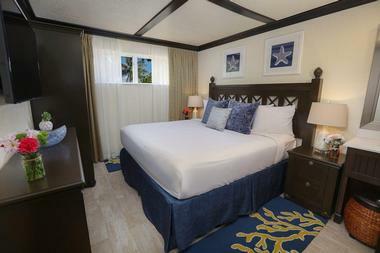 Their 58 well-appointed guestrooms have a simple yet elegant design. They’re outfitted with light-wood furnishings, premium white linens, unique fixtures, and upscale amenities including 50-inch Smart flat-screen televisions, single-cup coffee makers, and mini refrigerators. The Marriott Meadowview Conference Resort & Convention Center is situated in the picturesque foothills of the Great Smoky Mountains. 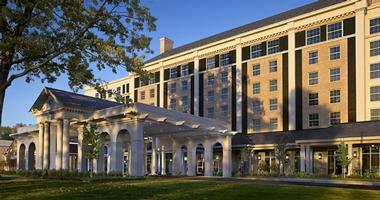 Located in the Kingsport Historic District, the hotel provides a magnificent setting with upscale accommodations. Their stylish and spacious guestrooms boast a palatial décor highlighted by modern in-room amenities and sweeping views of the adjacent 18-hole golf course or majestic mountains. Hotel amenities include The Meadows Restaurant, a casual yet refined eatery offering delicious American fare and the Horse Creek Lounge, a relaxing place to enjoy a refreshing cocktail, scenic mountain views, and catch a game. A sparkling indoor pool, state-of-the-art fitness center, Starbucks café, and 81,000 square feet of event space are also features of the resort. Oak Haven Resort & Spa is a 100-acre private, luxury resort surrounded by beautiful woodlands, nestled in the foothills of the Great Smoky Mountains. The expansive resort boasts a collection of stylish, upscale log cabins ideal for vacationing families, romantic getaways, and corporate events. Each of their rustically designed cabins feature their own unique layout with separate bedrooms, living areas, and fully-equipped kitchens. They are enhanced with modern amenities and special features such as flat-screen televisions, Jacuzzi tubs, arcade games, stone fireplaces, outdoor barbecue areas, and expansive porches. Oak Haven provides visitors with a variety of on-site amenities, including two miles of nature trails, swimming pools, sports courts, luxury spa, game room, fitness room, and playground. One of the 30 largest resorts in the world, The Gaylord Opryland Resort & Convention Center was designed by renowned architecture firm Earl Swensson Associates. Created with the splendor of a grand Southern mansion in mind, this resort has often been expanded and improved to include additions like the stunning Garden Conservatory. Modeled after a Victorian-era garden, the atrium is home to cascading waterfalls and over 10,000 plants. 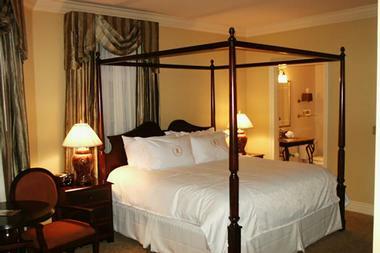 Several of Opryland’s impeccably and opulently designed 2,888 guestrooms and suites overlook this grand garden. Other high-end amenities include a full-service spa, a premier golf course, a barber/beauty shop, and twenty on-site restaurants, cafés, lounges, and bars. Located in downtown Gatlinburg, the River Terrace Resort and Convention is an expansive property offering contemporary accommodations with a rustic twist. 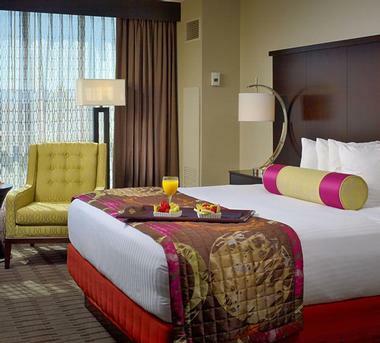 They provide simple, yet elegantly designed, guestrooms with scenic woodland or river views. 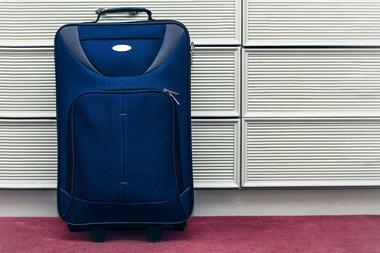 Each room is equipped with a mini-refrigerator, microwave, coffee maker, and attached patio or balcony. Resort features include two outdoor heated pools and Draft Sports Grill, a casual, family-friendly eatery serving classic American fare. Due to the resort’s convenient location, visitors will also have easy access to many of the area’s top attractions, including Great Smoky Mountains National Park, Dollywood theme park, and Wild Bear Falls – a 60,000-square-foot, state-of-the-art, indoor water park. Just minutes from Great Smoky Mountains National Park, Riverstone Resort & Spa is situated adjacent to the verdant Gatlinburg Golf Course in the charming town of Pigeon Forge. The resort provides visitors with a wide variety of cabin rentals and luxury condos. Stylishly decorated, their spacious, well-appointed, and fully-furnished accommodations range in size from one-bedroom cottages to four bedroom condos. They include the comforts and conveniences of home, as well as several upscale amenities such as Jacuzzi tubs, full-body massage showers, flat-screen HD televisions, and stone fireplaces. The resort also features a full-service spa, indoor pool, outdoor lazy river, fitness center, playground, and Little Pigeon River nature trail. Sterling Springs Mountain Resort & Spa is situated on a remote ridgetop near the Great Smoky Mountains. The expansive property is dotted with a variety of luxury cabins ranging in size, from cozy one-bedroom lodges to lavish ten-bedroom estates. While each of their accommodations boasts its own personalized décor, they share common design elements such as pre-finished hardwood floors, Berber carpet, stainless steel appliances, custom stone fireplaces, Art deco stainless steel and concrete countertops, and steam showers. Upscale in-cabin amenities include four-person deluxe hot tubs, flat-screen televisions, billiards tables, and propane gas grills. The resort itself provides a 1,200-square-foot sports pool, indoor pool, waterpark, full-service spa, zip line course, ropes course, and sports field. The Chattanoogan is a premier hotel situated in the heart of downtown Chattanooga, overlooking majestic Lookout Mountain. A recipient of several accolades and awards, the hotel provides superior service, upscale amenities, elegant décor, and state-of-the-art conference spaces. Their 198 impeccably appointed guestrooms feature a stylish décor and are furnished with either a two double beds or one king bed. They are equipped with soft pillow-top mattresses, a small table with chic accent chair, a large work desk station, mini-refrigerator, coffee/tea maker, complimentary Wi-Fi, and a 50-inch flat-screen television. The hotel offers several on-site amenities including a full-service spa, 25,000 square feet of event space, and three incredible restaurants. A one-of-a-kind resort, The Guest House at Graceland is situated just steps from the legendary Graceland Mansion, the former home of Elvis. A beautiful blend of rock and roll and Southern hospitality, this expansive piece of architecture boasts a stately edifice with a cool and contemporary interior. One of the city’s largest resorts, it provides 450 guestrooms and suites designed to reflect the style of Elvis’ Graceland Mansion. It has two full-service restaurants, Delta’s Kitchen and EP’s Bar & Grill, as well as a Lobby Bar. It also houses a 464-seat theater often used for live performances and more than 17,000 square feet of event space ideal for weddings and corporate gatherings. Nestled in the heart of the Great Smoky Mountains, The Resort of Governor’s Crossing features a selection of studio, one-bedroom, two-bedroom, and three-bedroom condos. These stylish accommodations have a contemporary design infused with earthy tones, elegant patterned carpet, plush leather furniture, and dark wood finishes and furniture. They are outfitted with fully-equipped kitchens, spacious bathrooms with jetted bathtubs, flat-panel televisions, private balconies, gas fireplaces, free Wi-Fi, and separate living areas with cozy dining rooms. Outside, guests can enjoy an array of resort amenities such as their legendary indoor water park, a game room, 9-hole mini golf course, exercise room, pirate ship playground, 80-foot-tall outdoor waterslide, and zero entry pool. Located in downtown Memphis, The River Inn of Harbor Town is a boutique-style hotel that offers 28 luxury guestrooms and suites, draped in European and Southern décor. Each accommodation features its own unique layout and intricate design elements including fine woodwork, detailed moldings, and walnut furnishings creating a vintage opulence long since forgotten. Luxury in-room amenities include four-poster beds adorned with Frette linens, complimentary Wi-Fi, flat-screen televisions, DVD players, bathrobes, and slippers. River Inn has three dining establishments, Paulette’s Restaurant, the Terrace, and Tug’s – a neighborhood-style bar and grill. Each floor of the Inn features a small library for guests’ use, and there is a live piano performance each night with cocktails and appetizers in their lobby. 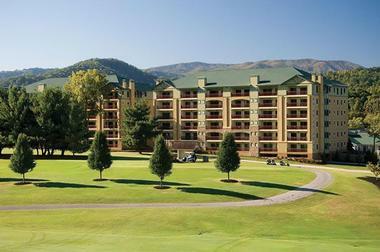 The Westgate Smoky Mountain Resort & Spa is located near Great Smoky Mountain National Park and the famous Dollywood theme park. They offer oversized studio, one-bedroom, and two-bedroom villas outfitted with all the comforts of home, upgraded with luxury amenities. This includes flat-screen televisions, stone fireplaces, plush leather furniture, coffee makers, and a kitchenette or fully-equipped kitchen depending on the accommodation. The resort features a full-service spa, fitness center, and three dining establishments. Its biggest claim to fame is the Wild Bear Falls Water Park, a state-of-the-art onsite waterpark with retractable roof, tree house, lazy river, and waterslides. A ‘sanctuary for the soul,’ Whitestone Country Inn is a delightful, secluded, 360-acre bed and breakfast resort located in East Tennessee. 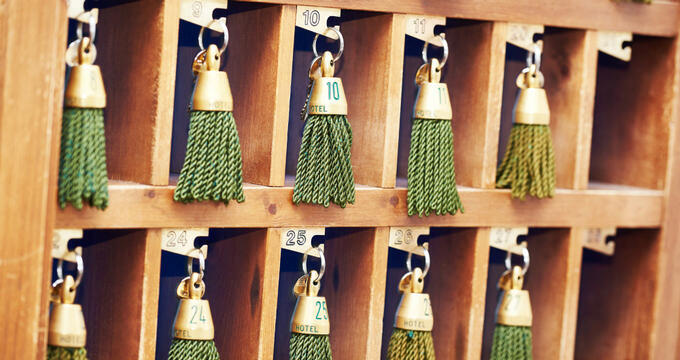 Reminiscent of a cozy New England village, the resort is made up of a farmhouse, lodge, barn, and chapel. With 22 distinct and uniquely decorated guestrooms and suites, guests can relax in country splendor while enjoying upgraded in-room amenities like whirlpool tubs, intimate fireplaces, plush, comfortable beds, and complimentary Wi-Fi. The expansive grounds provide guest’s with an abundance of outdoor activities such as hiking, biking, and walking along eight miles of nature trails or boating, kayaking, canoeing, and fishing on Tennessee Lake. They also have a full-service spa, horseshoe pits, shuffleboard, porch swings, and hammocks. French Broad River Dude Ranch is located in the Great Smoky Mountains, bordered by both the Cherokee National Forest and the majestic French Broad River. An Old West oasis, the Ranch caters to families, but is ideal for any large group who wishes to unplug and reconnect. 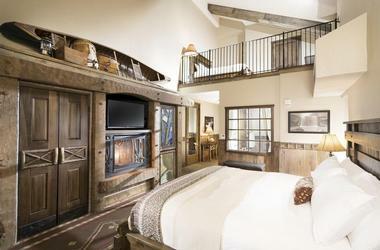 Guest accommodations are housed the timber framed, 19th century style Lone Star Hotel, boasting a rustic décor with seven Old West themed guestrooms. They offer a wealth of outdoor activities, including horseback riding, horse painting, whitewater rafting, square dancing, cattle driving, and team penning as well as Pioneer Games, black powder shooting, and a kids’ rodeo.